Artificial sweetener aspartame has sparked controversy since it was first approved for use in the 1980s, despite being one of the most thoroughly tested and studied food additives. Aspartame, also known as E951 or NutraSweet, is about 200 times sweeter than sugar but contains very few calories. Foods and drinks around the world use aspartame as a sugar substitute, including breakfast cereals and sugar-free chewing gum. Food safety experts have been keeping aspartame’s use under close scrutiny since a number of anecdotal reports pointed to potential side-effects. A study published by the Ramazzini Foundation in Bologna, Italy, in July 2005 claimed to have shown that rats given dosages of aspartame equivalent to those in humans may develop tumors. 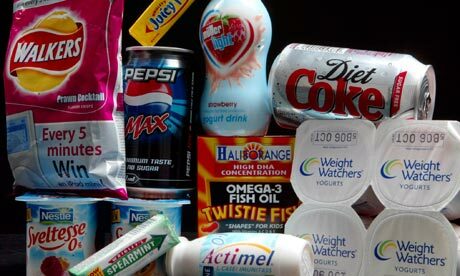 However, European regulators who assessed this research were not convinced by it and concluded that aspartame could still be used as a food additive. The FDA says there are more than 100 studies that support aspartame’s safety. Regulators also agree that there should be a limit to how much of the sweetener people consume. There are some people who cannot safely consume aspartame. These are people with an inherited disease called phenylketonuria (PKU). People with PKU are unable to metabolize a component of aspartame.